Beautifully furnished Historic Bungalow located in the desirable Northside neighborhood 1 block east of Dubuque Street. This bright 1090 sq ft stylish home has an updated bathroom, hardwoods and new carpet, high ceilings and original architectural details and wood work; spacious screened-in patio off the well-appointed kitchen; large, lushly landscaped and well-maintained private backyard with stunning views of Iowa River and the new Hancher Auditorium. Laundry is on premises. Just blocks to Downtown and the trendy Northside Restaurants and shops: Artifacts, Bashu Chinese, Pagliai's Pizza, Bluebird Diner, Haunted Bookshop, Johns Grocery, Hamburg Inn, Goosetown Cafe, Brix Wine and Cheese, and Fox Head Tavern to name a few. Iowa State University engineering graduate. Iowa City resident since 2012. Iowa native but I've lived in Florida, California, Kansas City and New York. Mother, Business Owner. The City of Iowa City "Northside District" and downtown Iowa City are home to trendy restaurants and bars, extraordinary boutiques, groceries, antiques shops and bookstores. There are few places in the United States that offer the quality of life that's found in Iowa City, from recreation, sports, education, healthcare, entertainment and so much more. Consistently ranked in the top cities and College Towns to live in the USA. Location, location, location! The home is unique, historic , stylish, artistic and comfortable in an unbeatable location. It's located in-town, yet the landscaping provides the illusion that you're privately nestled in the woods. Enjoy sipping a beverage on the screened in patio and soak up the picturesque views of the Iowa River and new Hancher Auditorium. The home is quaint yet spacious. The Dining/Living are is very large with lots of windows, a Dining Table and 5 chairs and a Desk with a cushioned wing back wicker chair. We visited a delightful 3 week’s time in this nicely renovated house originally built in 1859. In, or very near, the Brown Street historic district north of downtown, the bungalow is located among many magnificent houses of historic note, so walking tours along bricked streets are a must. Many fine restaurants are within easy reach. Spacious and airy, the bungalow itself is nicely furnished, spotlessly maintained, and well-equipped from kitchen to bathroom. Several sitting areas are available outdoors. We would recommend it without hesitation. Historic home with a view! What a lovely change from staying in a hotel! We were able to walk downtown easily to visit our son’s restaurant and walks in the neighborhood were wonderful with all the beautiful older homes. We will have to return when the weather is nicer to make use of the screened porch! Very nice property. Easy walk to campus, restaurants, etc. Quiet bungalow easy walk to campus, restaurants and Kinnick. Owner is very friendly and responsive. Thank you very much for your stay. It was a pleasure having you as a guest. I hope you will choose my property again should you return to Iowa City. I was of course disappointed and surprised to read your Review. I've hosted dozens of guests at the Bungalow and have never received feedback like this, but I will attempt to address your grievances. To begin with, I've been notified by VRBO that it is a violation of their guidelines for a Traveler (you) to use an Owner's account to promote their own property, so that portion of your Review will most likely be stricken. Regarding " mini blinds, the ironing board and wishing for a larger TV". I feel the numerous photos I've provided showing the interior of this Historic home give an accurate depiction of what to expect. The blinds, TV and ironing board are all brand new and of acceptable quality. As far as the "toilet paper", nobody has ever commented on this before, but if you were so disturbed by this I wish you would've mentioned it during your stay. As you recall, when you locked yourself out of the home, you called me on my cell phone and I provided easy instructions for you to gain immediate re-entry to the home. You could've asked for a different brand of toilet paper then. Your statement about not receiving access instructions is simply not accurate. I have checked the Communications Log and you were sent a Welcome Letter with Access Instructions (along with Trash Day reminder, Web Access instructions, check out instructions and Thank You letter) all within a timely manner. All guests receive these. The fact that you contacted me weeks before your check-in with an array of questions has no bearing on the fact that you received Access Instructions via the website well in advance. Thank you so much for your review Lynne and I am so pleased that you enjoyed your stay. I hope you will chose the Bungalow again during future trips to visit your son. Take care. 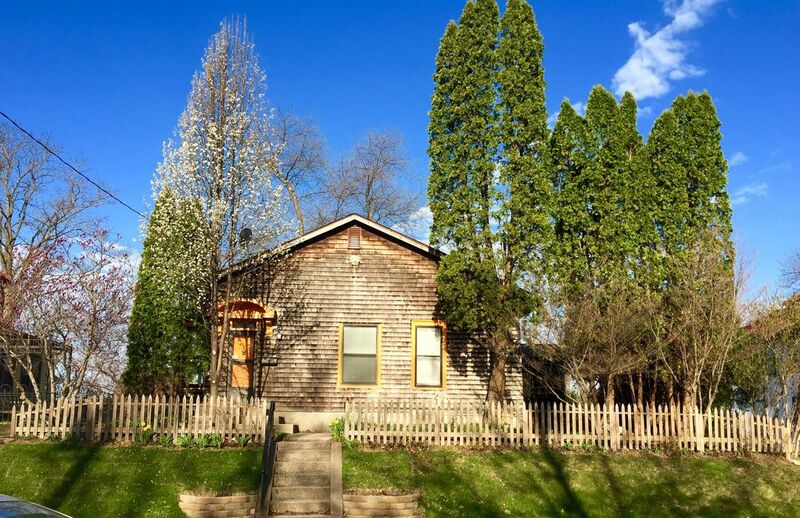 Cute little house within walking distance to downtown Iowa City. There are multiple Art and Music festivals throughout the year as well as National and International Sporting Events.